Most weight loss diets ask you to practice some form of portion control, and this is usually the part that dieters find to be the most challenging (or a compete turn-off from the very concept of dieting all together). That’s why a far more appealing weight loss strategy for many people is the idea that you can eat as much as you want and still lose weight. But in order for the traditional formula of calorie mathematics to still add up to weight loss – number of calories eaten must equal less than the number of calories being burned – you’d have to eat foods that basically contained zero calories in order to live the eat-what-you-want-to-look-how-you-want dream. Or, even better than the idea of a food that has no zero calories in it – how about a no-calorie food that also burns off even more calories while you eat it?! No doubt about it, the thought of a “negative-calorie food” – a food that takes more energy to digest than it contains – will definitely wet the appetite of any weight-loss hopeful. Because, if a food requires your body to burn off more calories in the act of digesting it than the number of calories that food actually contains, than technically, the simple act of eating that food should create a calorie deficit that leads you to lose weight. Lose weight by skipping the gym and hitting a restaurant instead? Pretty irresistible. But is there really such a thing as negative-calorie foods, or are they a desperate dieter’s myth? Are popular negative-calorie foods like celery more than just low-calorie food fare – do they actually contain some magic in them that makes your body burn off more fat just because you’re eating them? The quick and dirty way to get to the bottom of this food folklore is to do some simple number crunching. Let’s look at celery, probably the most famous in negative-calorie cuisine. 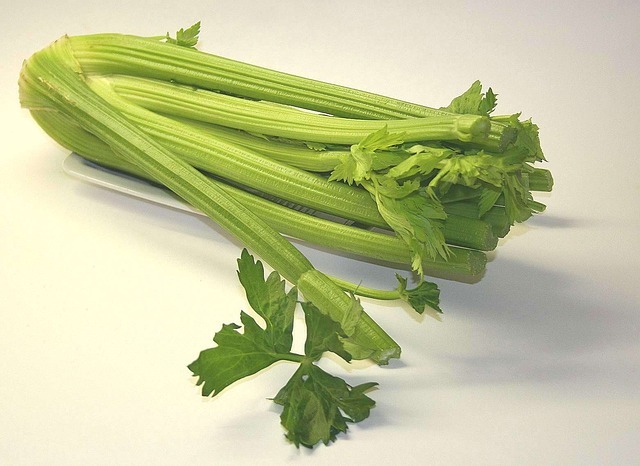 Two stalks of celery contain about 16 calories. 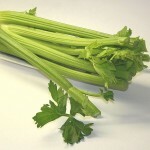 The number of calories your body uses up to digest those two celery stalks is about 14 calories. That leaves 2 calories left over. Two calories is extremely low, and the high fiber and water content of celery make it even more ideal as a fantastically filling, digestion-friendly and low-calorie weight loss snack. But is it a negative-calorie food? No. At least not on the books. Nevertheless, there still could be something to this negative-calorie eating theory after all. Researchers at Penn State University offered people a free all-you-can-eat pasta meal, and tracked how many calories they ate. On a different day, they gave the same pasta eaters a 50-calorie bowl of salad to eat before they started on the pasta, and then they tracked how many pasta calories they ate. Interestingly, the eaters not only ate 50 calories less of pasta after eating 50 calories of salad first – they actually ate 65 calories less! This means the salad led the eaters to consume 15 less calories than they otherwise would have. And, when given a slightly bigger salad to eat before their pasta, eaters wound up eating 100 calories less. In effect then, if you look at the total calorie consumption of an entire day rather than simply of one food, it would seem that certain foods do, in fact, have a “negative-calorie” impact on the total that you eat — minus all the pain and suffering of simply trying to consciously force yourself to eat less food and feeling hungry all day. 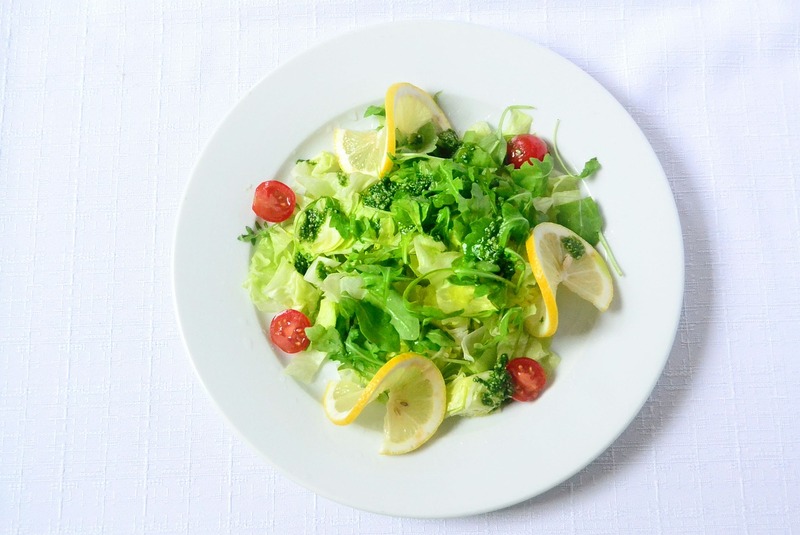 Keep in mind that the salad used in the study and the ones that have such a powerful and positive effect on weight loss are not the store-bought ones laced with sweetened or fatty dressings, cheese, or high-sugar and sodium-filled salad toppers. These typical commercial salads may lead you to eat less pasta, but the number of calories you’ll rack up by eating them (not to mention their low food quality) won’t lead to a calorie deficit at the end of the day, but rather to a calorie excess that leads to weight gain instead. 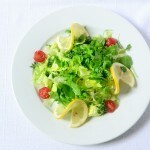 Clean raw vegetables that contain a lot of fiber and a lot of water are the most ideal for this weight loss eating strategy, along with a portioned amount of unrefined extra-virgin olive oil or other high-quality oil, some lemon juice or vinegar, and fresh herbs and seasonings for a drizzle of extra flavor boosting. Trying to lose weight by starving yourself is the worst way to go about weight loss, and the idea of facing gnawing hunger all day while dieting can be pretty off-putting. Finding ways to lessen your total calorie intake yet still feel satisfied and not deprived is a far more appealing and manageable weight loss strategy that can be maintained in the long-term. Eating more foods that are low in energy density while high in fiber, water and nutrients – like fresh vegetables – is one of the most effective and easy ways to keep yourself feeling full, happy and high in energy while supporting your weight loss and reaching your body goals.